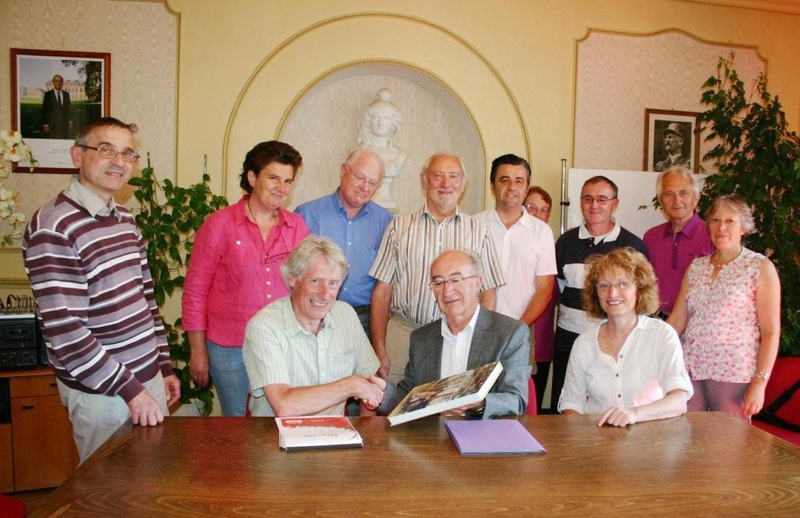 On 8 August 2012 a local historian and member of the Walkern History Society, Peter Sinclair, delivered a letter from Stephen Jenner, Chair of Walkern Parish Council, to the Mayor of the Breton village of Lanvallay. The two villages have an historical link in that William de Lanvalei was brought over to Walkern from Lanvallay in the 12th century by Henry II to marry the heir to the Walkern barony. By the early 13th century his grandson, the third to be called William de Lanvalei, had inherited Walkern. It was this William who, in 1215, was one of the 25 rebel barons elected as guarantors to ensure that King John adhered to the ‘Law of the Land’ set out in the Magna Carta, and who is commemorated in the marble effigy in St Mary’s. “I have just returned from Lanvallay in Brittany, where I was very pleased to hand Stephen’s letter to the Mayor on Wednesday afternoon. The Mayor was accompanied by a Deputy Mayor, the mayors of two smaller communes that are merging with Lanvallay, an interpreter (the local English teacher and wife of the Deputy Mayor), someone with responsibility for their existing twinning arrangement with a village in Alsace, my Lanvalei family history contact, a journalist/photographer, and several others… The formal part was relaxed and very positive, followed by a champagne reception and Gavottes (a locally produced biscuit). Maybe it’s important to emphasise that Lanvallay itself is the same size as Walkern!